dressing, bathing, personal care and assistance. Appreciate a caring visit. Schedule a consultation today. The specially trained staff at Home Health Services of Southeast Florida understands that everyone experiences Alzheimer’s disease in their own unique way. We also understand how difficult it can be for loved ones responsible for caring for a family member with a progressive illness that causes memory loss, like Alzheimer’s disease. Our caregivers are specially trained in Alzheimer’s and Dementia care to provide in home care that is designed to gently encourage someone with Alzheimer’s using patience, specific activities, diversion and some shared laughter. Our in home care services allow your loved one to maintain their daily routine and familiar surroundings, preserving their independence. We can help your loved one avoid the emotional trauma of leaving the emotional source of stability their home provides; while helping them cope with the dementia illness and providing the respite care and peace of mind that is so important for the entire family. Companionship including reading, card playing and board games, etc. 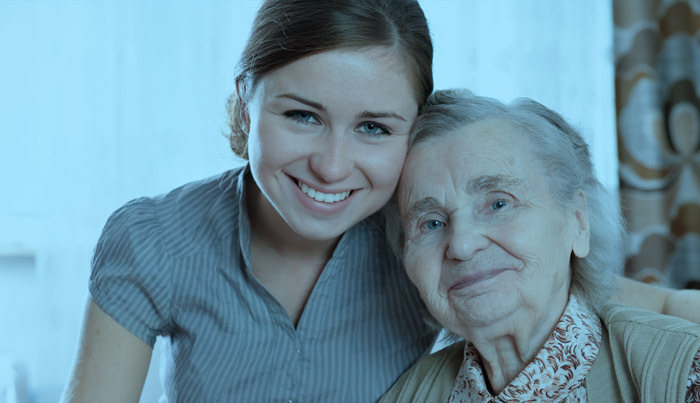 Our goal is to provide high-quality affordable home care to enable our clients to remain independent in their own home. We accept long term care insurance assignment.